Please show your clematis as the season goes along... 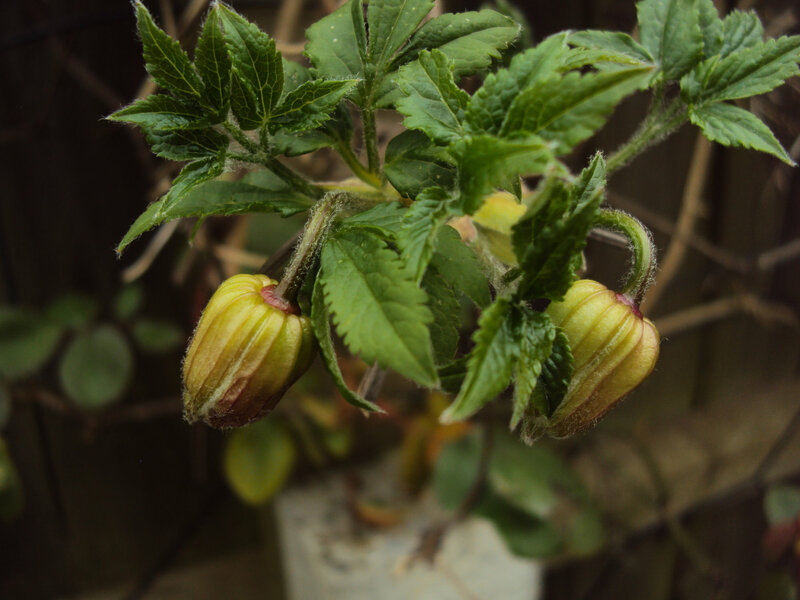 I only have about a dozen clematis and just one early bloomer, which is clematis 'Propertius' a macropetala or koreana type, whose buds are just now showing... I'm not sure if Armandii has already been and gone or just starting... please indulge if you have anything to share for early Spring.. professionals and those with more expertise are welcome to delight us with their offerings too..
Not such a good picture, but to join your lonely clematis I am showing Alpine Constance which flowered in February, and will likely flower again later in the year. I did have a couple of Freckles in flower in February, but found them difficult to get a good photo. I planted a Jackmanii Superba that my Dad gave me a cutting of. Original plant came from my Great Grandma's garden. 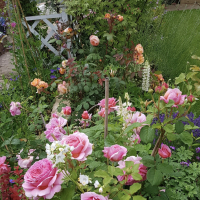 I also found a Madame Julia Correvan at Morrisons last week for £1.79 which I've planted. Will share photos when they get going. Mr Vine Eye... yes please do, we look forward to that... Jackmanii superba I'm told is wonderful when well grown... I wonder if there is a pink version.. I chopped most of my Group 3 clematises in March (as per common advise), so no sign of any buds yet. This is the first time i ve really pruned them hard, so having a bit cold feet now.. Looking forward to lots of lovely pics and my own clems later on. All my clematis are currently in pots, either brought from our last garden or bought for this one and potted up waiting for new beds to be dug. None is ready for flowering yet but then I have no alpinas or macropetalas because every single one I tried in the Belgian garden froze to death just as the flowers were opening. I even lost a 30' long montana Elizabeth that I'd trained along a trellis separating the veggies from the pretties. 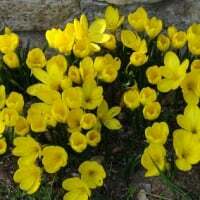 Heavy spring frosts can be brutal. 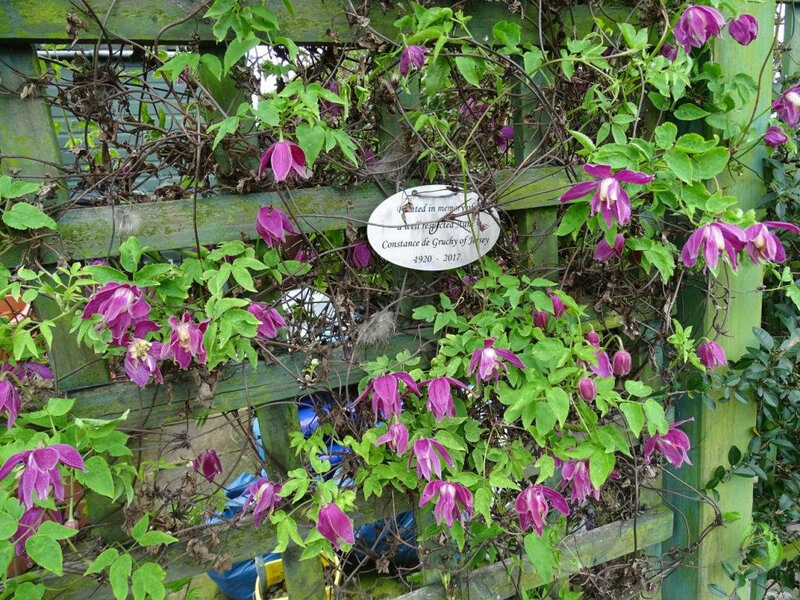 Thank you for the Constance comments - we planted it about 18 months ago from a plug plant - not expecting it to do much as so many of my clematis have been disappointing (Montanas mainly). My Aunty Constance died approx 2 years ago, so I thought it was apt to plant it in her memory hence the tag. Why do my Montanas disappoint me after growing so well in their first year they then produce small leaves and flowers in the following years.